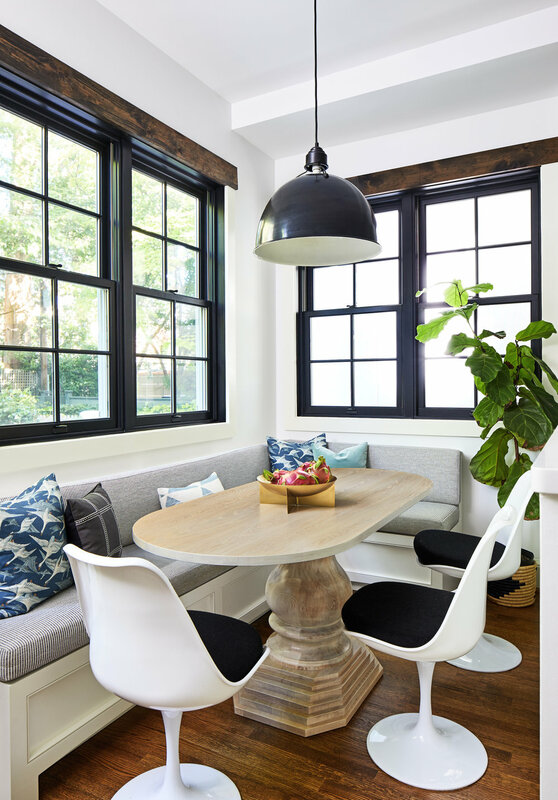 When a new addition left a young couple’s Georgetown townhouse as a pristine blank canvas, we were brought in to infuse a little of their personalities back into the space. Graphic palm wallpaper and cheerful prints liven up a mostly grey and white aesthetic, while dark trim on light walls and brass fixtures pack a playful punch. 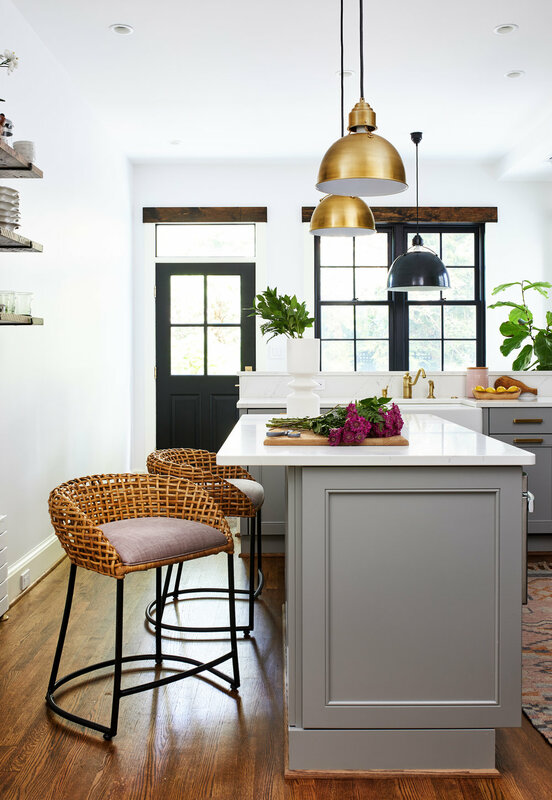 In the kitchen, a built-in banquette upholstered in a subtle stripe is offset with a custom white oak farmhouse table and mid-century chairs; the perfect nook for cozy meals at home.